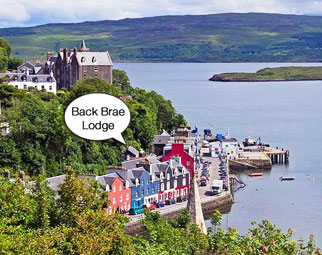 Quality, spacious two-floor house set back from Tobermory’s Main Street, near the Mishnish Hotel. Ideal for a couple or single, sleeps up to 3 adults or a small family group. Double bedroom, with 2 sofa beds in the open-plan living area. Outdoor decking, free WiFi and satellite TV. Sorry, no dogs.